Specialising in Building Management System design, installation and maintenance for residential, commercial and industrial buildings across the UK. A modern and efficient Building Management System (BMS) gives you control over your environment, energy use and integrated alarm systems. This not only improves your ability to save energy, but allows for correct temperature control of your building, and effective monitoring and management of your heating, ventilation and air conditioning (HVAC) plant. 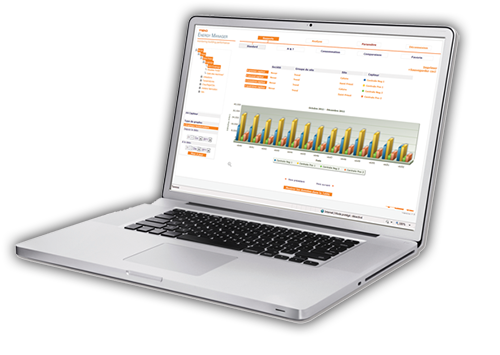 Using the experience of our fully accredited engineers, we will ensure you have an intelligent and cost-effective BMS. Our highly trained team will help you use the latest technology to save energy and put the control of your environment at your fingertips. Reduce your energy consumption, upgrade to a modern system, or replace a faulty control system with BMS services that put you in control. Learn more about Siemsatec and how we have become leading industry experts in the field of Building Management Systems. Learn more about how we have helped clients in education, health care, commercial and residential properties throughout the UK. We can provide a full Building Management System, from initial design to completion, throughout London and the Home Counties. 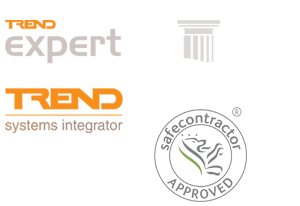 All work is carried out by Safecontractor and Constructionline accredited specialists. Your improvements will be carried out by approved partners of Trend, Johnsons Priva and Honeywell, using only high quality brands and manufacturers to meet your budget.